Sustainable buildings appeal to commercial tenants for reasons beyond a basic desire to help the environment. As they search for the next ideal office space to lease, entrepreneurs know to watch for verification through Leadership in Energy and Environmental Design, or LEED. Employees who work in buildings with LEED status are healthier, more productive and more likely to remain longer with their companies. In tandem, business owners have signaled a willingness to spend more on eco-friendly spaces — and building owners are taking note. It’s anticipated that commercial-building owners will spend $960 billion globally by the year 2023 upgrading building infrastructure to meet the U.S. Green Building Council’s rigorous LEED standards. 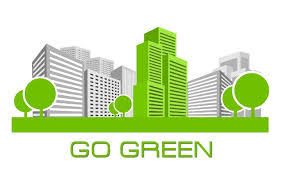 At present, more than 200,000 buildings worldwide are LEED certified. On its face, that isn’t a particularly impressive figure. Major metropolitan areas in the United States haven’t exactly raced the extra mile to embrace yet another set of codes and guidelines in an industry already rife with regulations. Indeed, part of the reason for the slow march to green is that the LEED program itself only represents one set of standards. Some building owners and developers prefer to focus on Energy Star, for example. Others simply don’t see strong enough demand to justify the investment. It takes time, money and other resources to retrofit older buildings or delay newer properties to ensure they’re up to the latest, greatest standards. Tenants might not realize it, but they can help advance the ball. While property owners decide whether to pursue LEED certification, tenants can adopt meaningful degrees of sustainability in their own rights. Do your employees want to bike or jog to work for health or environmental reasons? Investigate the cost to install a bike rack. If that’s not an option, consider offering bus passes or bike-share memberships at a discount. If you’re already in the midst of a lease term, you might need to take a more introspective approach. Start by assessing the office layout. Not all open floor plans are equally efficient, and squeezing more people into tinier desk spaces isn’t necessarily the answer. Retrofitting the office system with LED lighting is another relatively inexpensive way to be more green while slashing long-term energy costs. Some LED lighting systems will pay for themselves in as little as three years. Many areas offer tax rebates for firms that make sustainable upgrades. If you plan to remain in the space for a while, it’s an investment worth considering. With so many cost-effective resources available for eco-conscious companies, the decision isn’t whether to go green, but when.